Alchemy’s cashmere & silk blend fiber take a bow in this stunning little scarf. A delicate and easy to follow lace pattern make this piece a fascinating knit. 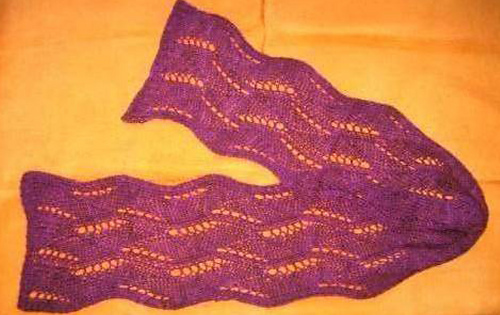 With two skeins, one can create a larger scarf by adding more stitches in the pattern repeat and/or adding length as desired. Transform your look with this elegant little scarf.